The 2017 MHI Annual Conference will feature four keynotes and 12 educational sessions over two days October 2 – 4 in Boca Raton, Florida. Here, you’ll learn how disruptive technologies are defining new opportunities for supply chains, how to lead an organization that drives growth and what economic challenges and opportunities lie ahead. What challenges and opportunities does the U.S. and global economic outlook pose for your company? Join top-ranked economist, Jason Schenker, who will share his shortterm and long-term economic forecasts. This presentation will cover the growth outlook, as well as the outlook for interest rates, foreign exchange rates, energy prices, and industrial metals prices. 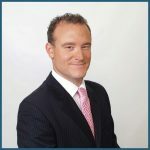 Jason Schenker is ranked one of the most accurate financial forecasters in the world. He shares the worldview that shapes his forecasts with clients and audiences around the world. In July 2016, Bloomberg News ranked Jason a top forecaster in 12 categories, including #1 forecaster in the world of industrial metals prices, #2 forecaster in the world of precious metals prices, and #1 forecaster of gold prices. 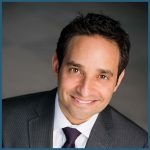 Josh Linkner is a NY Times Bestselling Author, 5 time tech entrepreneur, and the hyper-growth CEO Chairman at Fuel Leadership, LLC. The emergence of disruptive technologies and the potential for more rapid deployment of existing, proven technologies all hold the potential to change development models and create new markets and business opportunities for entrepreneurs and those who finance them. This presentation will include technological advancements of autonomous vehicles such as drones, trucks and cars and help define new opportunities for supply chains. He is the recipient of numerous awards and medals and has led the development of some of the most complex, state-of-the art systems ever built, to include satellites, drones, and fusion centers. 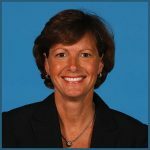 At age 29, Susan O’Malley became the first female president of an NBA franchise as well as one of the first women in a major front-office position in major league sports. During her presentation, Susan O’Malley will speak about leadership and thriving in a male-dominated field, calling on anecdotes and lessons learned from her life of unprecedented success. In an engaging and upbeat presentation, O’Malley outlines her seminal ‘rules’ for leadership and life and shares insider stories about business, entertainment, hockey and basketball. As the first female president of a professional sports franchise, Susan O’Malley is a pioneer in two fields: sports and business. She knows what it takes to be a leader in a tough business environment and how to create an organization from the ground up. 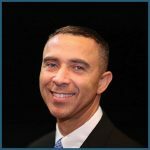 Once an intern with the Washington Capitals and the Washington Bullets (now the Wizards), O’Malley joined Washington Sports and Entertainment in 1986. Since that time, her ground-breaking business ideas and proactive approach to customer service brought her – and WSE – to the top of the sports business world. Learn more and register for the 2017 MHI Annual Conference today!